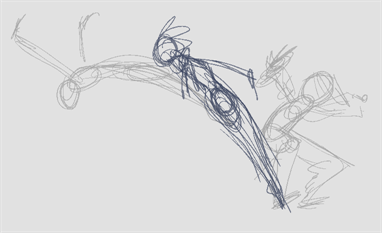 The first step to complete a traditional paperless animation is the rough construction, which is the skeleton of your animation. You would usually start with the main action. 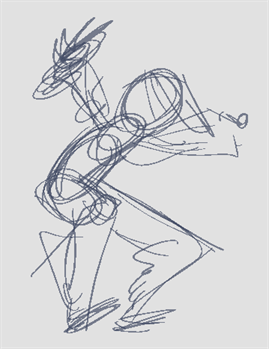 For example, to animate a walk cycle, you will start with the torso motion and the legs. Head, arms and clothes will be added later during the secondary animation. 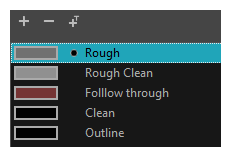 In the Timeline view, drag the blue onion skin markers to extend the number of past and future drawings to display as onion skin, if needed. In the Timeline or Xsheet view, select a cell between the two key drawings. 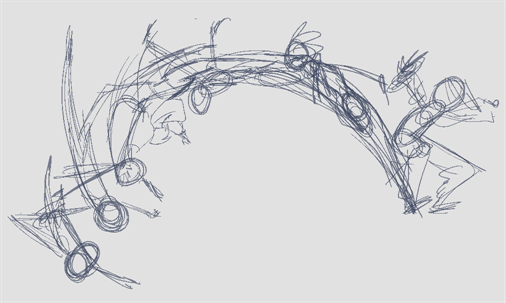 NOTE: When working with overlay layers in the Camera view, you can enable the Current Drawing on Top option to make the layer you're working on appear over other layers. In the Playback toolbar, click the Play button to being playback.